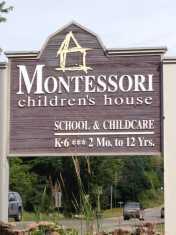 We know that it can be overwhelming trying to find the best fit for your child and family, thank you for considering Petoskey Montessori Children's House! Please have a look through our website to find out more about our school. We encourage you to visit one of our classrooms to learn more about our program and the wonderful education our students are receiving. We would be happy to put you together with some of our current Montessori parents to get their perspective. Please contact us to set up a tour and interview.